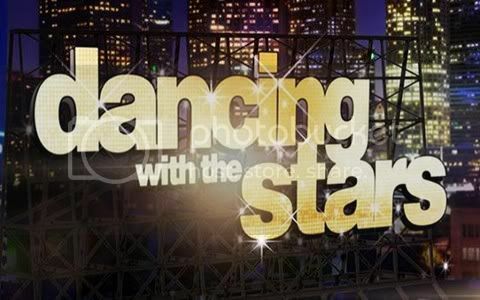 Quick Take: Dancing With the Stars 14 "Week 7"
Review: Dancing With the Stars 14 "Week 7"
(S1413) This week the seven remaining DWTS couples tackled classical music and the dreaded group dance. Since it was classical week Jacki Evancho and Vittorio Grigolo accompanied the band on some of the songs. While Donald was hoping that he and Peta would earn the first perfect score of the season, than honor went to Maria and Derek who scored a thirty for their high intensity paso doble. Len thought it was fantastic and sharp as a razor. Prior to the group dance there was a three-way tie for second among Katherine and Mark, William and Cheryl and Donald and Peta who all earned a twenty-seven. Katherine and Mark's rumba earned mixed reviews. Len thought it was a classic rumba full of style and elegance, Bruno would have liked it be to raunchier and Carrie Ann felt that the dance was forced with no real passion behind it. William and Cheryl and Donald and Peta both danced the Viennese waltz and quite honestly I don't think they should have received the same scores. William and Cheryl's dance was clean but I didn't think there was anything spectacular about it. Whereas Donald and Peta's performance left me feeling wowed and had the judges singing their praises. Len said it was terrific and that his footwork was spot on. So why no 10's? In the bottom three are Roshon and Chelsie who earned a twenty-five for their Argentine Tango to a classical version of Lady Gaga's "Bad Romance," which had Carrie Ann welcoming Roshon back to the competition. Jaleel and Kym earned a twenty-four for their Viennese waltz that the judges felt had good content but lacked in footwork. And sitting at the bottom of the leaderboard are Melissa and Maks who earned a twenty-one for their sloppy and rushed Argentine tango. Maybe Maks should have sat out this week and let his brother do the dancing for him while he nurses his injured ankle. After all of the individual dances were done it was time for the group dances, Team Tango vs. Team Paso. Team Tango consisted of Katherine, Roshon, Jaleel and Maria with their respective partners and Team Paso was comprised of William, Melissa and Donald and their partners. Len felt that Team Tango's performance was comprised of the good, bad and the ugly and ultimately earned a score a twenty-seven which was added to their individual scores. I thought Team Paso's performance was better on so many levels. Bruno said it best; they had more power than the Avengers. Unfortunately their scores did not reflect the high praise they received from the judges as they only earned a score of twenty-six.